What is the Biggest Challenge of Running a Software Startup? For a successful startup, many things must fall in place, consistently in sync with one another and most importantly within a limited period of time before they start to fall apart... and yes these should happen along with a little bit of a factor called luck. Somehow or other as a developer / blogger I've been associated with many Startups for the past six years. A few failed and a few are moderately successful. What I inferred from my association with them is that running a startup is a 24x7 job and it requires the same level of nurturing, care & dedication that is expected while raising a new born baby. Visualizing the product idea, sharing it with someone who probably shares the same level of insanity as you, refining the product day in day out - without caring if you're in traffic, washroom or in sound sleep. Forming a team, keeping them motivated even if you pay them much below what an MNC would've paid. Startup is a challenge for the founders as most of the days, most of them, end up doing multi-role tasks starting from a CEO to the office assistant and everything in between! Let us hear what is the single biggest challenge of running a software startup from those who are into it for many years. Dinesh Varadharajan is the Director at OrangeScape, handling the engineering for KiSSFLOW, #1 workflow product in Google Apps Marketplace. He is a hands-on executive with profound experience working with bleeding edge technologies, developing great products combined with mentoring and growing highly productive teams. The biggest challenge for a startup is to get the first 100 paid customers. The initial days are pretty chaotic. Its all about continuously evaluating our sales process, marketing metrics and product feedback and make course corrections to improve those periodically. This continuous evalutation resulted in a heavily optimised process which will work for the next 1000 customers. On the product front, we integrated several engagement tools like mixpanel and intercom to analyse user behaviour. We also frequently spoke to our customers to get user feedback. This helped us in maturing the product to match market needs. For sales, our CEO spear headed the acquisition of our first 100 customers and defined the workable sales process. We completely automated the process before hiring our sales team. This gave us greater predictability and good visibility in sales numbers. For marketing, every one in the team had to familiarize themselves with marketing which was the toughest part of all. We tracked every dollar spent to a lead and slowly we were able to find more efficient ways to spend the money to acquire more leads. Right now, we have a cockpit with lot of meters and controls and now we know exactly which knob to turn when the numbers are not looking good. 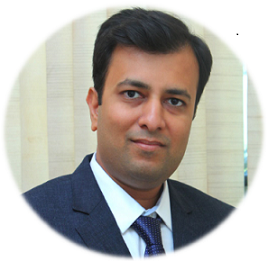 Ezhil has over 16 years of experience in the ICT industry. His most recent role was Director of CSS Labs, the R & D wing of CSS Corp. Although he is known for his technical expertise in numerous technology spaces, he has gradually risen as an opinion maker in cloud computing in India. Although India is slated for excellent growth in SaaS, the market and the cloud services scene isn't exactly mature. Identifying and disrupting a niche market and then narrowing down on the top challenges in that target audience needs a lot of focus. Finding the right talent for our technology needs is also a daunting challenge - no start-up can afford the risk of a bad hire, so at any level, recruiting is a key priority for us. Oleg Khadartsev is CEO of Mediametric. Passionate about media monitoring, data analysis, text mining, natural language processing. Mediametric carefully aggregates almost every piece of content, published on the web and then collects all the stats for these articles - including shares to major social networks, comments on the website and citations and links, made in other articles. Since Mediametric is a media analytics startup, our challenges come from big data - every day we collect articles from more than 100,000 sources, and keeping it all nice and clean is not always easy. We're using heuristic-based approach: we filter the incoming content automatically, giving it green light or blocking it, depending on whether it is a media outlet or something else, like online store or educational site. Some sources are sorted in the "gray zone" - those we filter using semi-automatic techniques, for example crowdsourcing. This way we filter out irrelevant content from thousands of channels, effectively handling large amount of data. I would say that a great team is essential for overcoming any challenge — with the right people it is a lot easier to build something from scratch and deal with problems on the way. "Speaking about developers, it's a bit challenging to hire a skilled and motivated programmer here. However, we have noticed that for skilled developers a promising fast-growing company means more than just high salary. It's essential to them to have a feeling of ownership of some part of the product or an area of research." 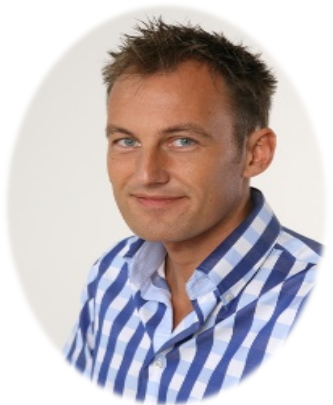 Hugo Messer has been building and managing teams around the world for over 10 years. His passion is to enable people that are spread across cultures, geography and time zones to cooperate. Whether it’s offshoring or nearshoring, he knows what it takes to make a global cooperation work. Hugo recently started Ekipa : the global marketplace for the world's best software teams. He's been running www.bridge-staffing.com with an office in Cochin, India, since 2005. The biggest challenge is to get traction. We've launched our new platform Ekipa.co in January of this year . We've spent about a year on developing the core of the platform and gathering the initial provider foundation. Since January we're promoting the platform. As you are not a known brand yet and you don't have customer experiences to share, it's like you're standing in the desert almost lost. As an entrepreneur you've to find your way out of it. Somehow you have to start running around to meet people who are ready to take the plunge with you. It's relatively easy to build a product, it's tough to market it. I am used to 'sales' and have built a successful software services firm. Launching a product that relies on marketing as the main driver of customers is a whole different story! Thanks everyone who shared their views here. -- Participate here - What's the Single Biggest Start-up Challenge? 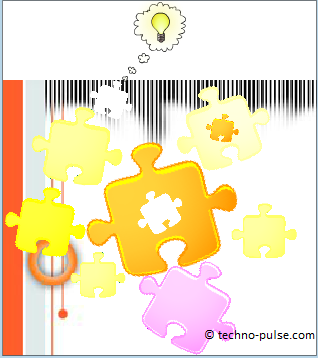 Want to read a few more discussions at Techno-Pulse? Why Should I Replace My Landline with VoIP?